IKEA UK’s latest advertising campaign features Lion Man, a symbol of the importance of relaxing and recharging in one’s living room so we can go on to do great things. 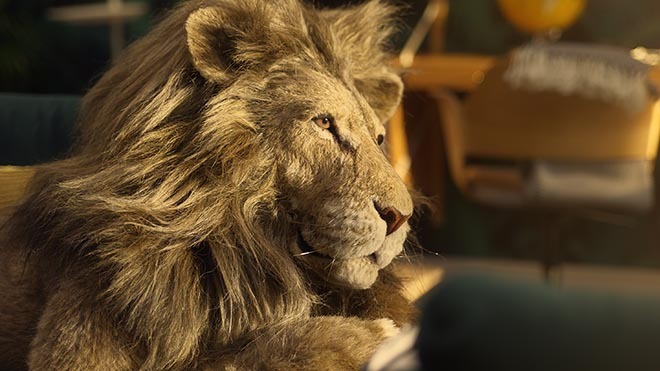 Based on the fact that lions spend up to 18 hours a day at rest, the campaign follows the story of a Lion Man as he recharges in his living room before springing to life and revealing himself to be a father in costume preparing for his child’s party. 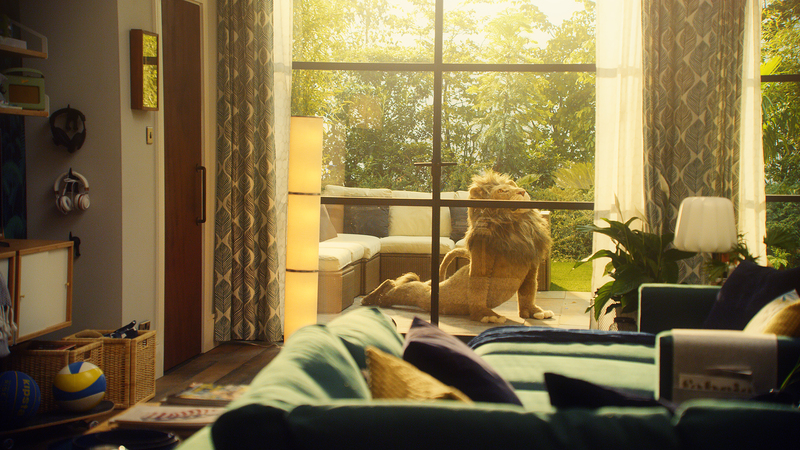 The IKEA Lion Man campaign aims to highlight the importance of recharging our bodies and minds and inspire people to relax more, by celebrating the living room as the one room in the home where we can unashamedly rest and relax. The online film connects viewers with the Wonderful Everyday site ikea.co.uk/wonderfuleveryday . Shot in a style that parodies a wildlife documentary, the film follows the Lion Man relaxing languidly in his living room. We see him stretching on a cushion-filled sofa in front of the TV, then reading a book on an armchair, sprawling on a rug before peaceful yoga practice. The Lion Man is constantly at rest. But as he naps and light fades, he hears a wild rumble outside in a faux dreamlike sequence. We’re given a visual cue of an antelope, perhaps the Lion Man’s prey. Fully recharged, the Lion Man springs to the ready: it’s time for action! The door flies open and he is greeted by the energetic stampede of his daughter and her friends at her birthday party. The recognisable voice of Rikard Wolf then encourages the audience to “relax into greatness”. 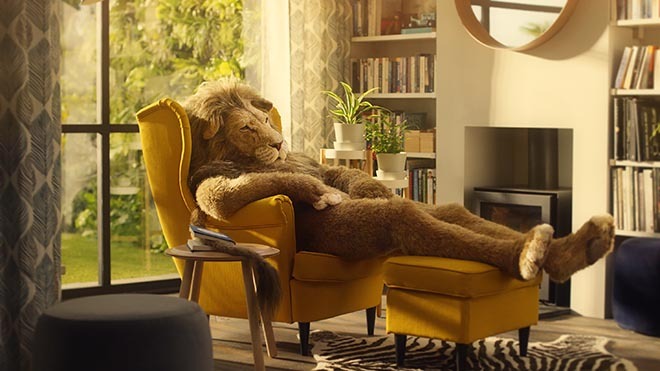 Laurent Tiersen, IKEA UK and Ireland Marketing Manager, said, “Modern lives often leave us with the feeling that we should always be on the go, making enjoying downtime feel a bit indulgent. We work around the clock, consuming information 24/7 and are ‘always on’ which puts a toll on us all. We’ve all forgotten how to relax, especially in the living room. Created by Mother London, the campaign leads in press, TV, cinema, digital and outdoor media, with additional filmic content optimised for social and mobile. The campaign reaches its peak with a 60” online and cinema film along with 60” and 20” TVC across the UK and Ireland on 15th July, before going live across print, digital and outdoor. The campaign has full support of PR, social and CRM. The IKEA Lion Man campaign was developed at Mother London by executive creative directors Hermeti Balarin and Ana Balarin, creatives Roberto Kilciauskas and Pedro Rosa, and agency producer Carol Oakley. Filming was shot by Us directors Chris Barrett and Luke Taylor via Academy Films with director of photography Patrick Duroux, executive producer Lizzie Gower, producer Lucy Gossage, production designer Drogo Michie, wardrobe artist Rebecca Hale, and Lion Man costume artist Andy Gent at AMS. Editor was Bill Smedley at Work Post. 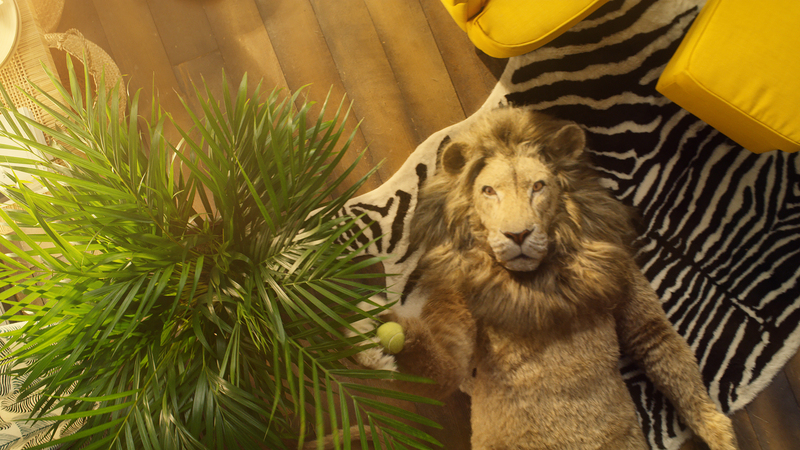 Post production was done at MPC by colourist Jean-Clément Soret. Sound was produced by Sam Ashwell at 750mph. Music is “By The Sleepy Lagoon”, by Eric Coates, with additional production by Paul Sumpter.